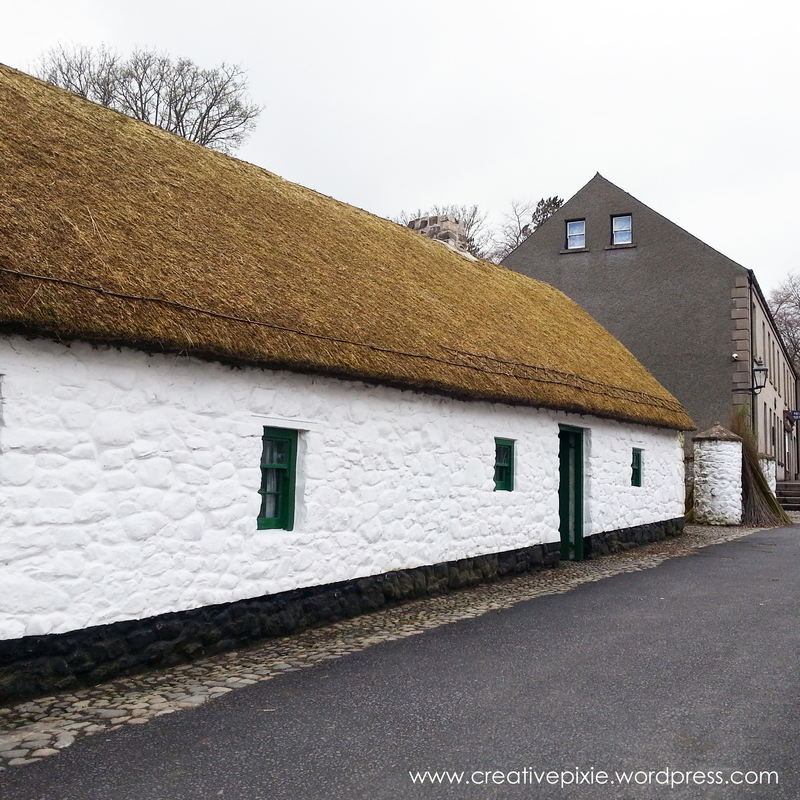 This weekend me and my family went on an outing to The Ulster Folk and Transport Museum at Cultra. This is comprised of 2 separate museums, one on transport (so lots of old cars, trains and bikes) and the other one we visited is an outdoor town with houses, cottages, farms, shops and even an old cinema from the 1900’s (or earlier). There are visitor guides in costume doing traditional craft demonstrations. 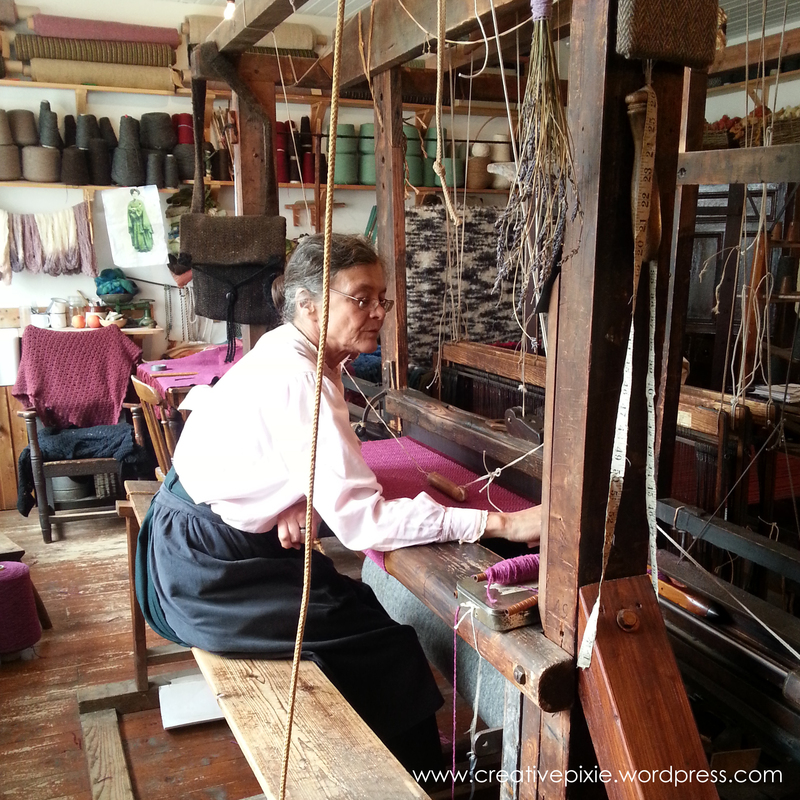 This lady was using a loom from 1900, it was amazing watching her make a herringbone pattern on the fabric. Behind her is all the yarn that she has spun herself and fabric ready woven and waiting to make a garment or be used as a blanket. It was hyponotising watching her pull the shuttle back and forth while her feet work the pedals. 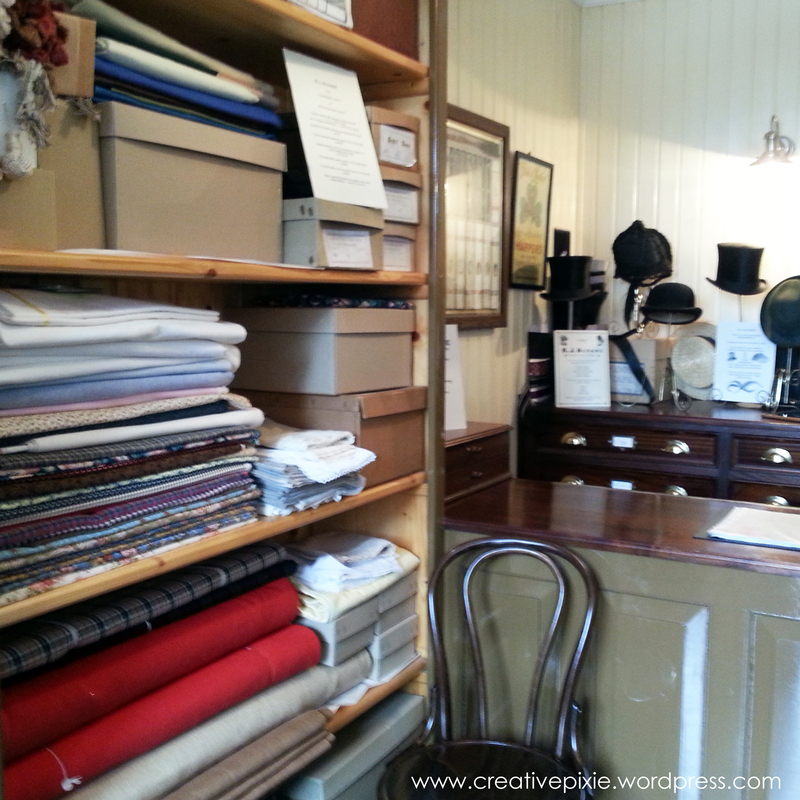 The front of the workshop contained an old haberdashery shop. Imagine choosing your fabric and then the garment you’d like made from it. 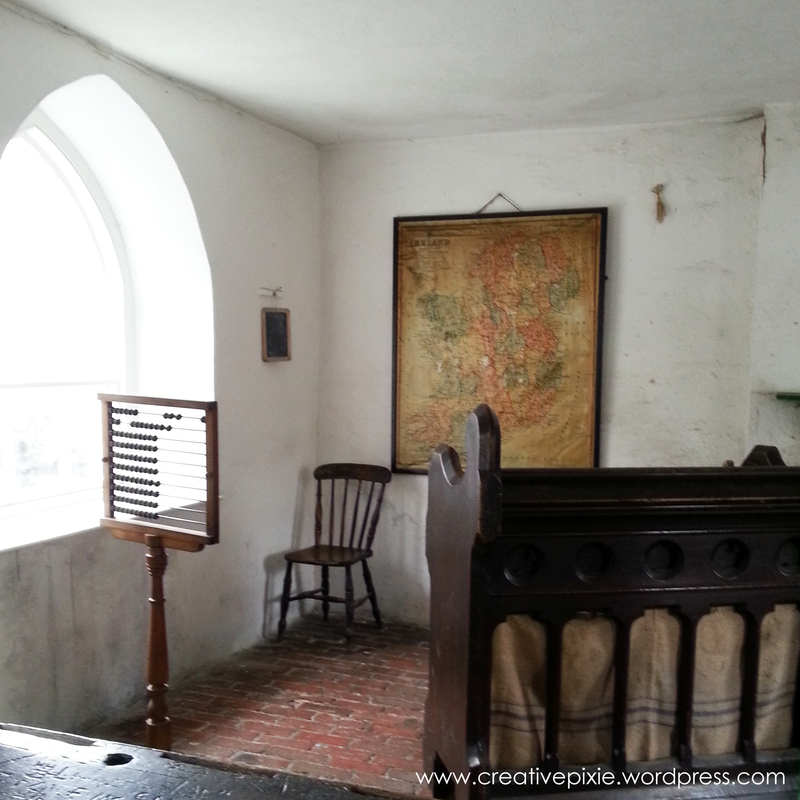 We walked a short distance to the old school house, with its bead abacus and old map of Ireland on the wall. both had thatched roofs. Inside they were really dark and cold, they must have been horrible to live in during the winter months. We had a great time and the girls loved running about, especially Miss E as we didn’t bring her pram so she had to walk. 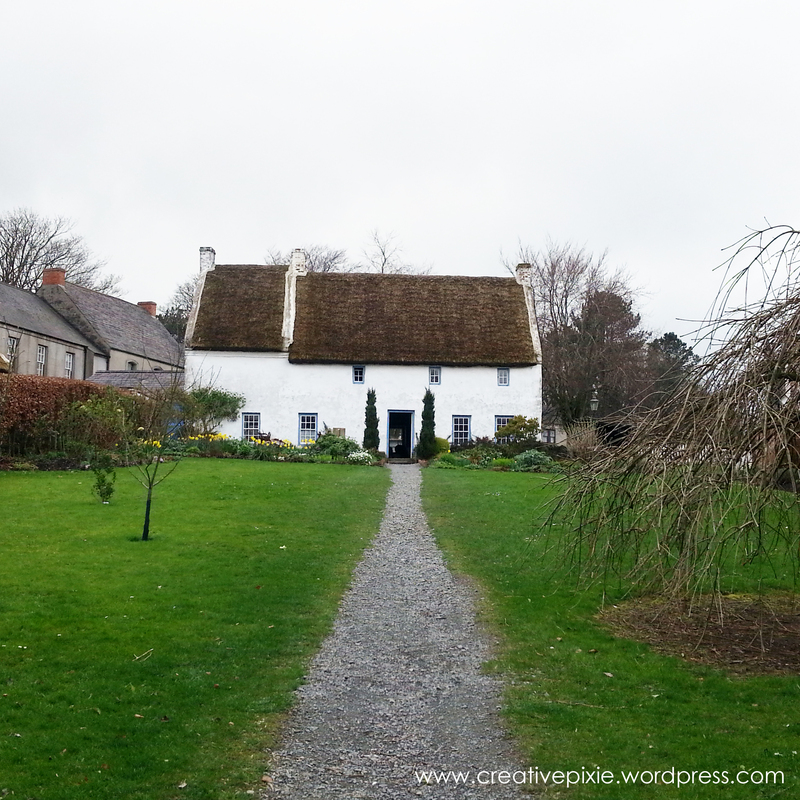 I’d recommend a visit to the Folk park, especially if you have an interest in history. I think we’ll go again during the summer and visit the farm areas as we did run out of time yesterday. Looks just like the sort of place we would love . A fascinating visit, thanks for sharing. we only visited a small part of it as well, you could probably spend a couple of days there if you visited every building and farm. Lovely photos, looks like a great day out! 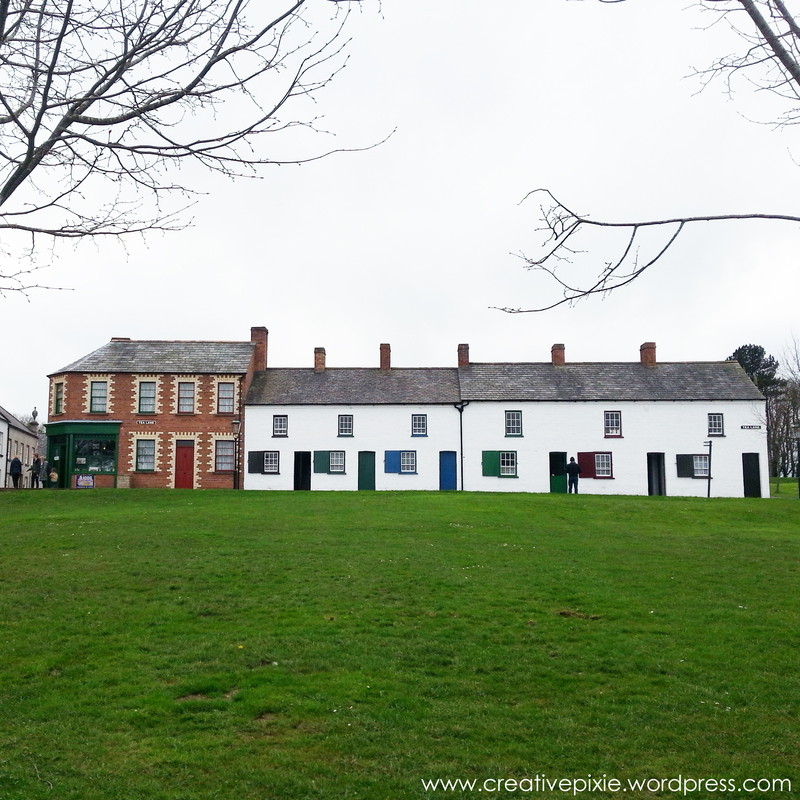 We went to the Ulster American Folk Park a few times in school, but I must check this one out now. That loom is fantastic! I went a few years ago, but I don’t think I seen parts of what you have photographed. Like you say it is huge and great for the kids! Lovely photos!